Financial services institutions (FSIs) understand that digital disruption is more than getting customers to use online or mobile banking or to add on to existing products — it is a way to run their entire organization. Digitization is not simply a defensive strategy against traditional and non-bank competitors; it can enable better engagement and deliver customer insights that translate into higher revenues. 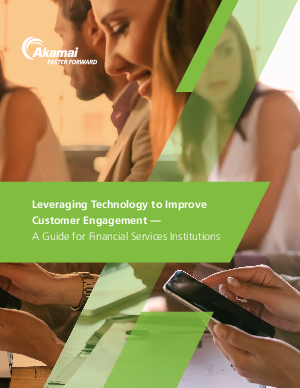 Read the Akamai white paper, Leveraging Technology to Improve Customer Engagement - A Guide for Financial Services Institutions to learn how to make the best use of technologies that help you engage your audiences, improve customer retention rates, and increase revenue.